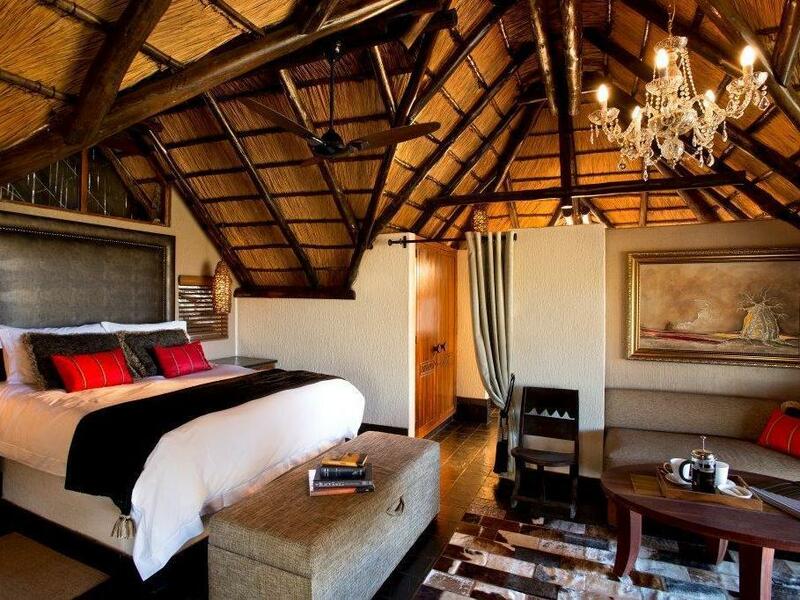 ﻿ Tshukudu Bush Lodge Pilanesberg. JIMAT di Agoda.com! Ada soalan mengenai Tshukudu Bush Lodge? Dibina pada 2003, Tshukudu Bush Lodge merupakan tambahan menarik di Pilanesberg dan satu pilihan bijak bagi para pelawat. Terletak hanya 25.00 Km dari pusat bandar, para tetamu berada di lokasi sesuai untuk menikmati tarikan dan aktiviti di sekitar bandar. Bagi anda yang ingin pergi agak jauh, Taman Negara Pilanesberg, Padang Golf Lost City, Klinik Sun City merupakan beberapa daya tarikan untuk pelawat. Ambil kesempatan daripada pelbagai perkhidmatan dan kemudahan yang tiada tandingan di hotel Pilanesberg ini. Untuk menamakan beberapa kemudahan di hotel ini, terdapat pengawal keselamatan 24 jam, pengemasan harian, pendiang api, daftar masuk/daftar keluar ekspres, simpanan bagasi. Semua penginapan bagi tetamu menawarkan kemudahan yang difikirkan dengan teliti bagi memastikan rasa selesa yang sukar ditandingi. Hotel ini menawarkan banyak peluang rekreasi yang unik seperti denai kembara, kolam renang terbuka, rumah urut, taman. Apa juga tujuan lawatan, Tshukudu Bush Lodge merupakan pilihan yang terbaik bagi penginapan anda di Pilanesberg. Harap maklum harga bilik termasuk makan malam, katil dan sarapan. The stay was unique. The view from the balcony into the bush and the animals that could be observed from the balcony was perfect. I recommend all guests to bring binoculars! Sole suggestion for improvement on the subject of organisation: Please inform the guests in writing on arrival how the times for the individual activities are set. Due to a misunderstanding I was 15 minutes late at the meeting point for the morning safari and missed it. Very annoying, especially as I only stayed one night in the hotel. Food was amazing, compliments to the Chef! Loved every minute. Stunning position, able to view animals from your terrace. Excellent game drives. Food is great, free flowing drinks and staff who really want to make your stay special. Don't hesitate book a stay. 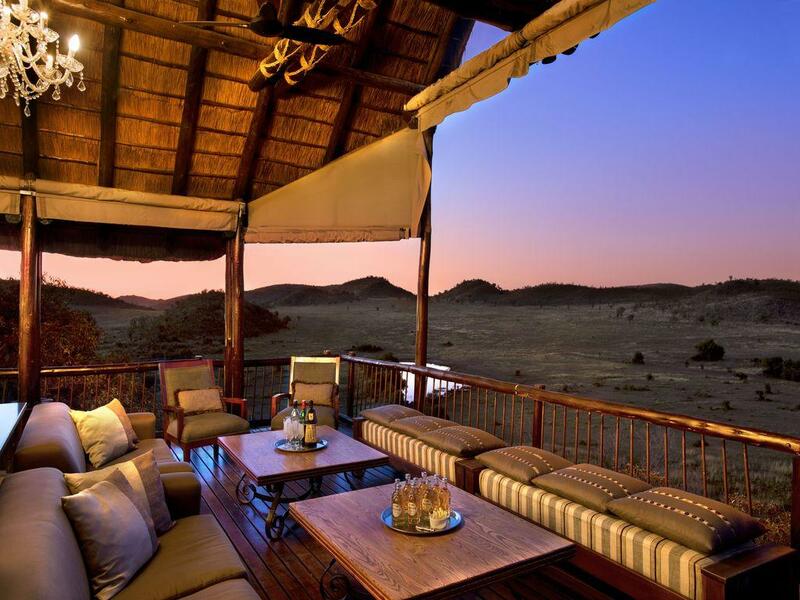 Set inside the Pilanesberg Game Reserve, this beautiful resort offers 2 three-hour-long game drives a day, luxury meals, open bar, and friendly staff. You are in the park in the morning before any of the outside visitors can arrive, and get to stay in the park in the evenings when everyone else has to go home. We saw lion, jaguar, cheetah, elephant, rhino, hippo, jackal, wild dogs, warthog, monkey, baboon, zebra, giraffe, impala, hartebeest, kudu, hydrax, turtle, and more than a dozen kinds of birds. Many of the large animals crossed the road in front of us, giving a fantastic experience and great pictures. My partner and I would truely recommend this property for its food location and the very knowledgeable and experienced guide Sean.A great way to finish of a fabulous holiday with so many animals to see with the Pilanesberg Game Park. We had great stay at Tshukudu Bush Lodge. The lodge was beautiful with our room having great views of the watering hole. Good facilities including fully stocked mini bar, coffee station, lovely bath, comfortable bed. The only negative was the huge duvet and lack of air conditioning made it difficult to sleep. All the staff were extremely friendly and helpful and the game drives were great, small groups of people and we saw absolutely everything you would want to see. We were sad to go home but that was made fabulous by the pride of lions at the bottom of the lodge steps, so we spent some time watching them with wonder before leaving. Would definitely return. Staff were fantastic, food was great & plenty of it. Rooms were very clean & peaceful, always a lit fireplace when we returned to our room each night. Shane was our guide & was just fantastic. Very relaxing. Fantastic stay - can not wait to go back! We will definately recommend this! Everything was amazing. The staff was top notch, the accomodations were superb and our game drives were thoroughly enjoyable. A 5 star place, will definitely come back and highly recommend. the only problem is hot water, it ran out hot water very soon even we waited for another 10 mins still the same problem. I had an excellent experience as a woman traveling alone, first visit to South Africa. Everything at Tshukudu was well and thoughtfully done. The staff go above and beyond to make you happy. My guide was knowledgeable and cared deeply about the animals we were seeing. We saw big five, African Wild Dogs, and much more. Great experience. Note: virtually no cell signal and not much wifi. From the beginning to the end everything was perfect. Room was huge and had a nice terrace with a small heated jacuzzi with view over the park. Food was always excellent and wine too. Staff was very helpful and attentive. I will come again for sure. The ranger who took us for the game ride was very knowledgable and accommodating. The dinner we shared with other guests in the lodge was exquisite. Service was impeccable. Small and exclusive (only 6 lovely cottages) perched on a granite outcrop overlooking a waterhole Driver/guides excellent and game viewing excellent.